Welcome to the fast lane and our new IndyCar IRL driver minifigures. Our driver minifigures come complete with their team-branded firesuits (including sponsor logos, driver name and number!) with bendable knees and elbows. This new product line features the top IRL drivers and the biggest names in IndyCar racing. The perfect gift for the biggest (and littlest) race fan in your life. Your minifigure is created to look like your favorite driver! Bendable knees and poseable arms allow for real-action play. Accessories: Authentic team fire suit with team and sponsor branding, water bottle accessory. Poseable stand with a unique DNA code for your one-of-a-kind minifigure. Compatible with most building block toys. Printed and assembled in the U.S.A.
Danica Double Multi-Use Decal - 5" x 6"
Danica Double Round Decal - 3"
Danica Patrick #13 2018 INDY 500 Round Decal - 3"
Copyright © 2019 All Rights Reserved. 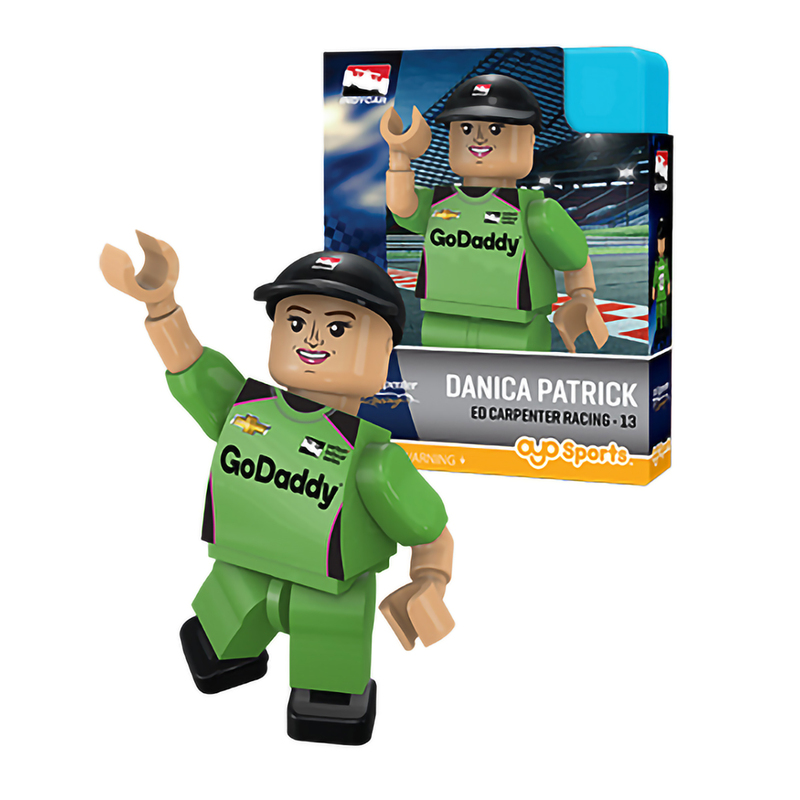 Musictoday II, LLC, is the seller of all Danica Patrick merchandise and is solely responsible for all aspects of your purchase.